For our 3rd Vinyl release the keyword to demonstrate is freedom. A word that today is always more and more eclipsed. Starting with an Original Mix from our young french talent Deam, with his solid and hypnotic basslines, "Empie" is a well executed raw techno track. 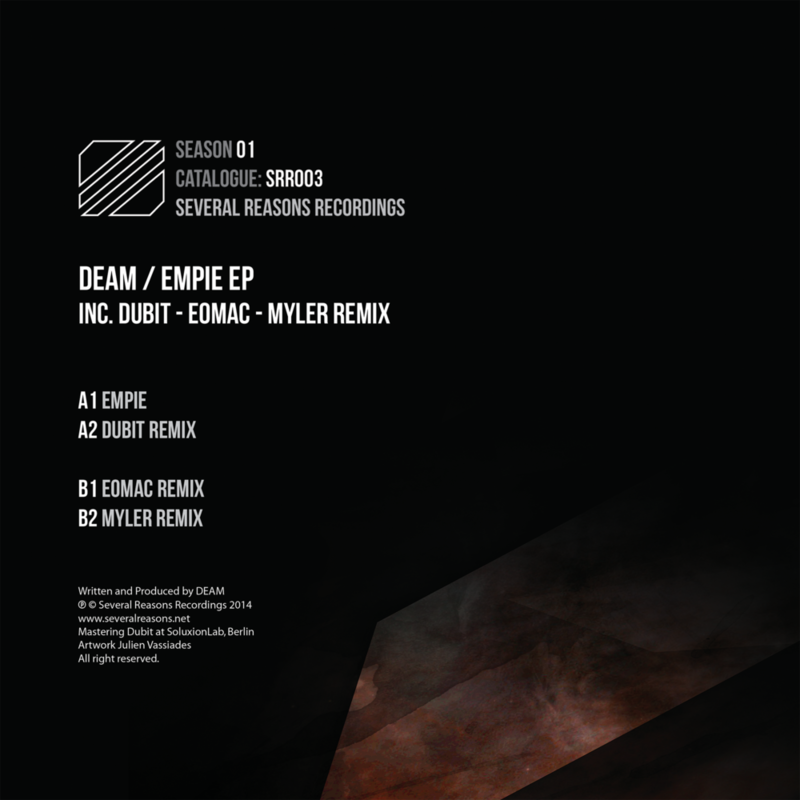 The release is completed by remixes from Dubit, Eomac and Myler. The first remix from Dubit, brings a unique groove absorbed in a network of industrial sonorities, aggressive and fraught, ready to kill any dance floor. On the B1 side, we have a killer remix from Eomac with his poetic fast broken-beat grooves and frozen atmospheres. This is a mix between d&b, jungle and idm which makes it a perfect execution. Myler demonstrates his full personality with his own interpretation bringing out a dark and mystical feeling through a static and engaging evolution. Closing off, a second stunning Original Mix (Bonus Track) from Deam, the heavy and damned "Gatling Riffs”. This is a futuristic vision of solid industrial hard techno track only for the bravest techno-heads.